First, let me just define a few parameters. 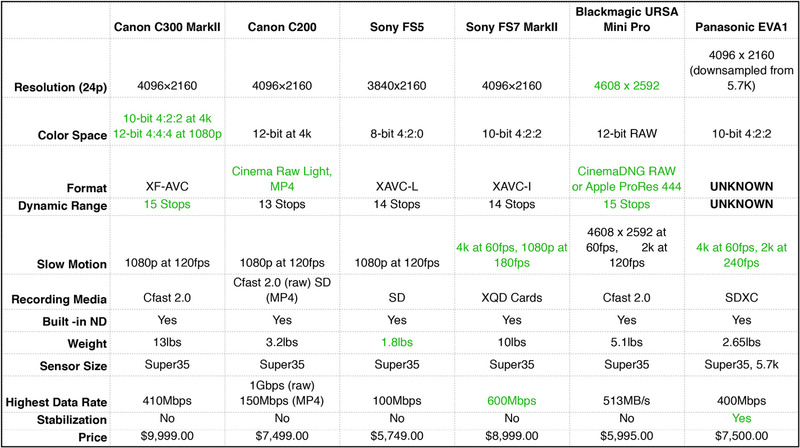 I’m going to look at 4K-capable cameras that can capture internally, and cost less than $10,000. To further refine the list, fixed-lens cameras will not be listed, but don’t disregard them. They still serve a lot of event productions and run-and-gun shooters should really consider them a viable option when speed and versatility are more important than being able to change lenses. I’ll also being leaving DSLR-style cameras off the list, even though they are a popular choice. I wanted to keep the comparison as direct as possible.